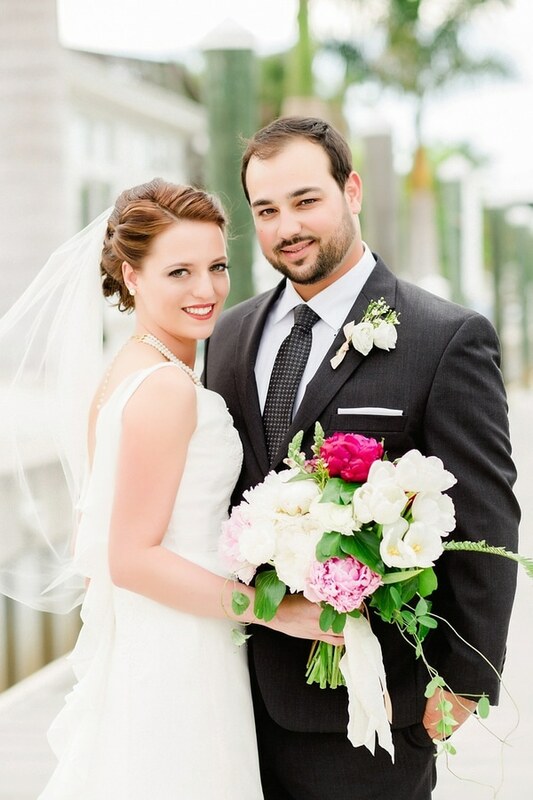 This simply elegant Burgundy Yacht Club Wedding Inspiration captured from the talented Ailyn La Torre Photography will make you swoon! 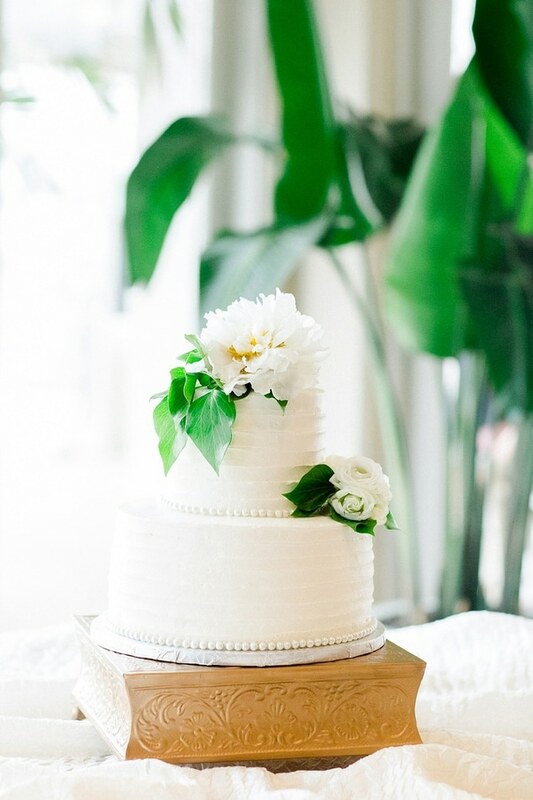 The classic, beautiful decor meets modern romance is the perfect recipe for this couple’s I Dos. 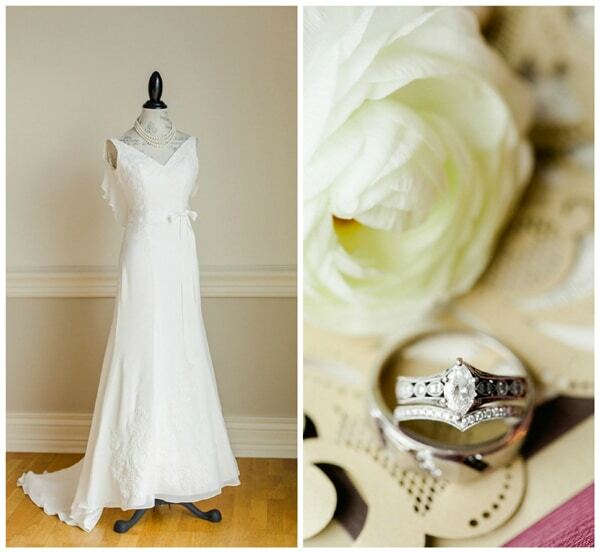 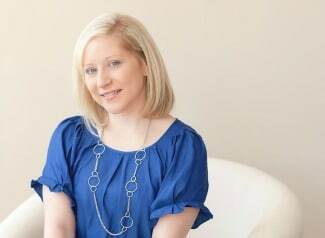 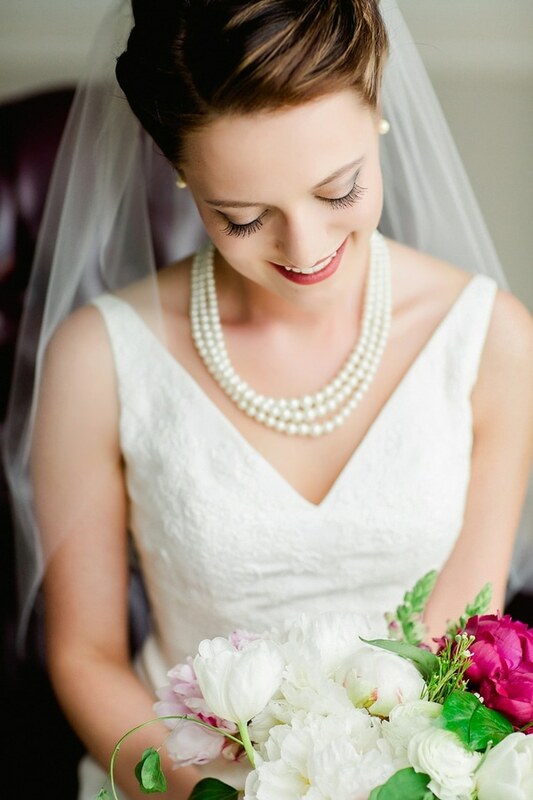 The bride looked stunning in a simple yet beautiful wedding gown with classic pearl earrings and necklace. 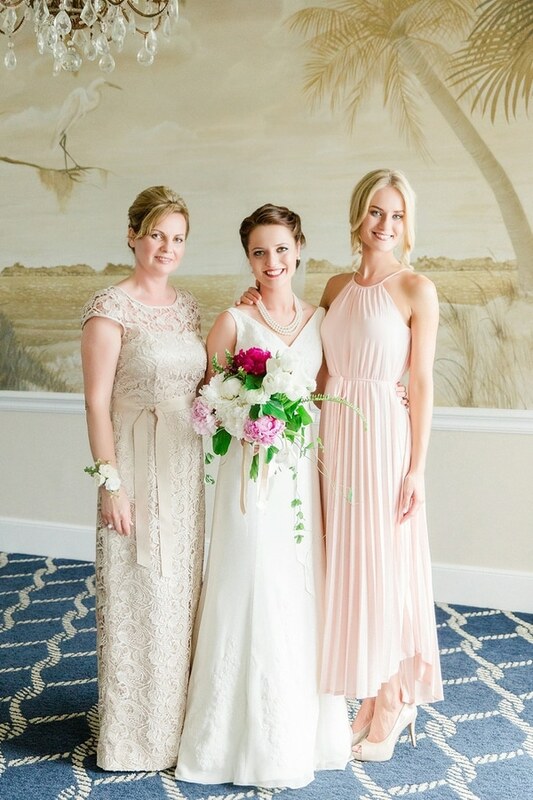 The bride’s beautiful bouquet had a mix of pinks, greens and whites and was the perfect complement to the other details in the wedding, including the pretty bridesmaids dresses and bouquets. 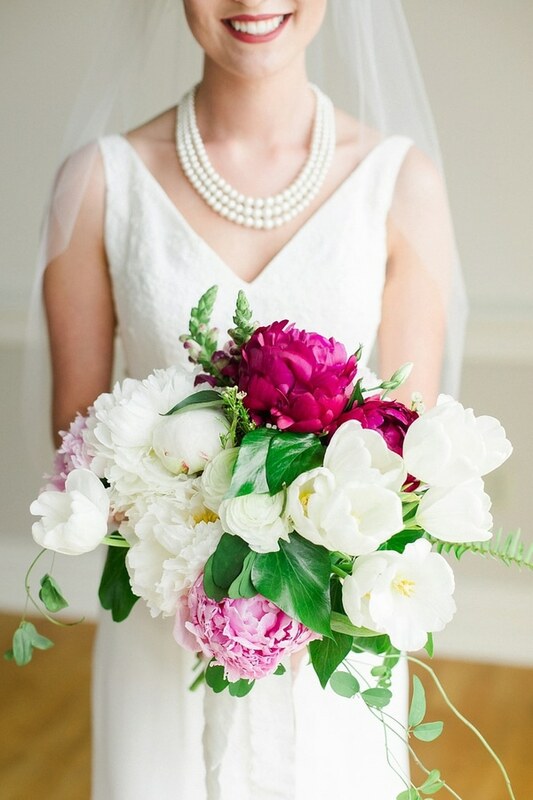 The bridesmaids looked beautiful with their white pearl necklaces, as well. 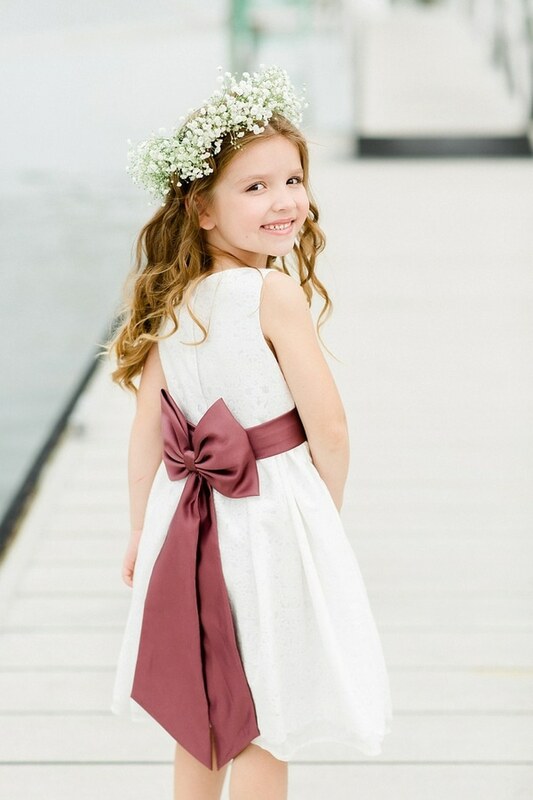 The cutest part of the bridal party was the adorable flower girl with her baby’s breath crown. 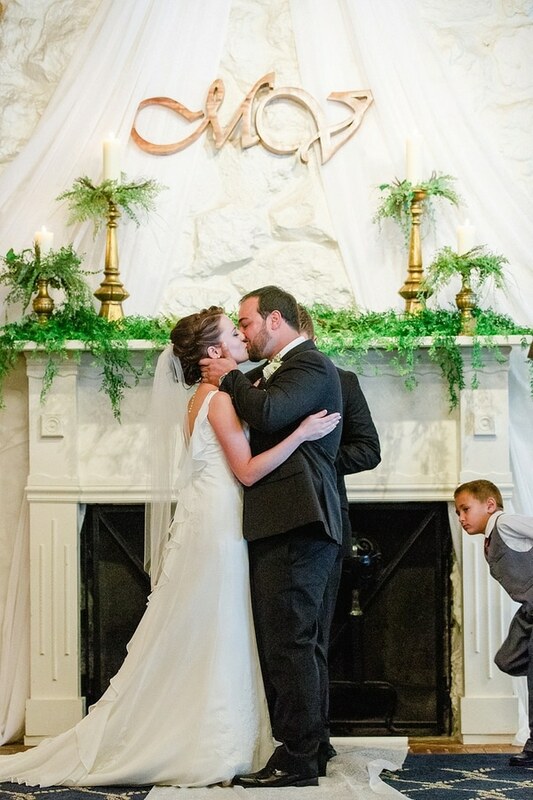 It’s one of our favorite details of the wedding! 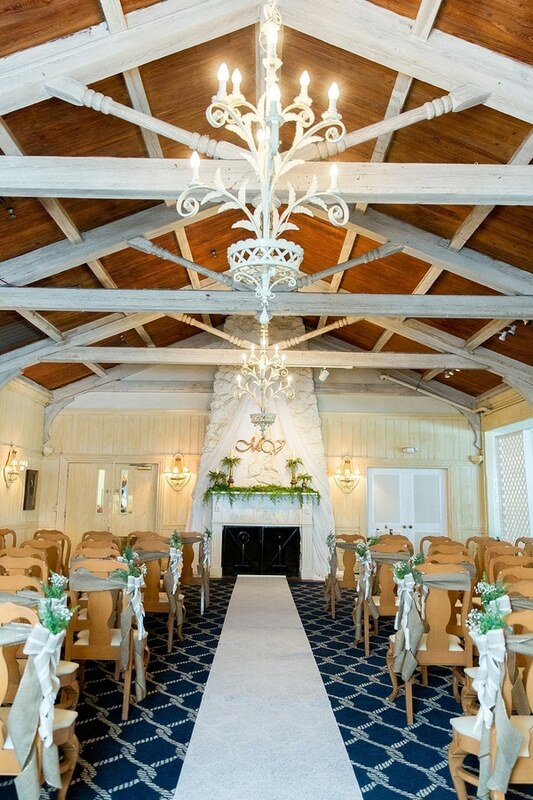 The ceremony was held indoors in a room with a dramatic fireplace and chandeliers. 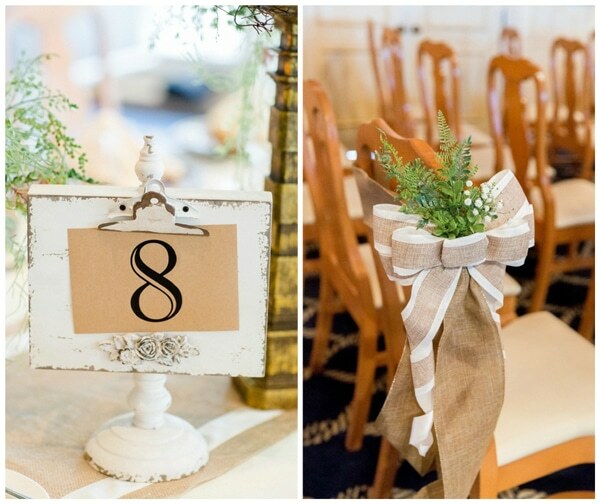 Chairs were adorned with burlap ribbon and baby’s breath, which complimented the greenery and gold candles on the fireplace mantel. 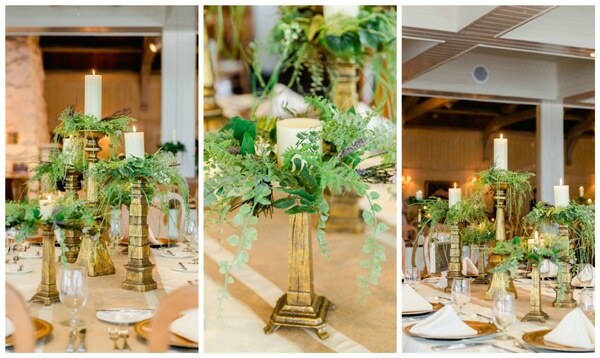 The gold candles and greenery followed into the reception and looked beautiful, which ties in the theme of this wedding. 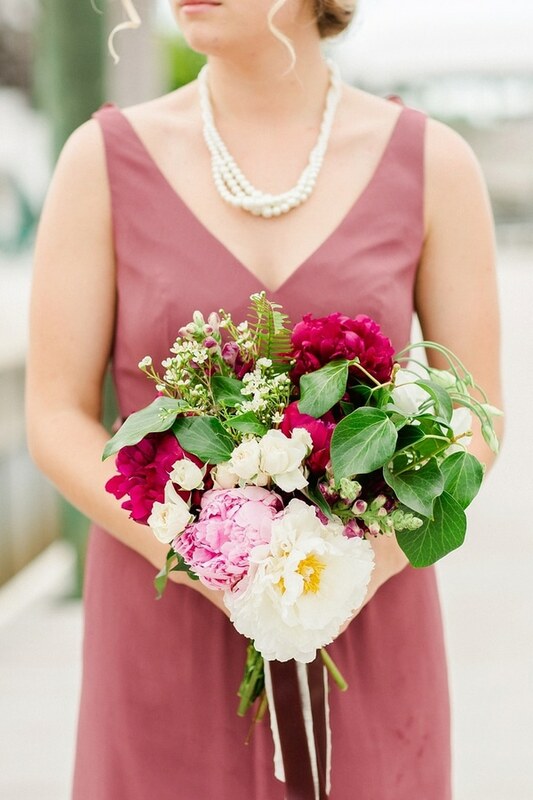 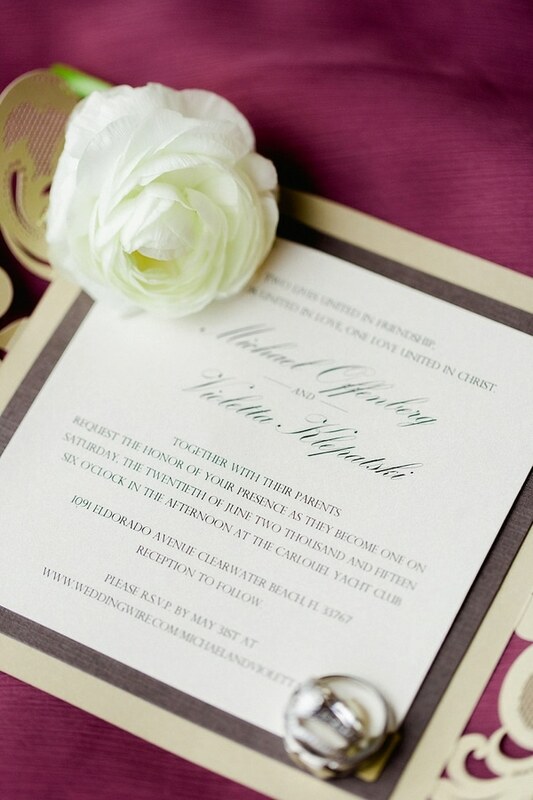 We just love the classic elegance in this Burgundy Yacht Club Wedding!